Year after year, we see improvement in one of the main feature of any smartphone – The Camera. This year, there are a lot of phones that feature impressive camera hardware like the Google Pixel 2, iPhone X, 8, 8 Plus, Note 8, LG V30, etc. From past couple of years, we have seen that brands like Google and HTC promote the cameras of their phones via the DxOMark scores. It won’t be wrong to say that we have started believing that higher the DxOMark score, better is the camera of that phone than any other smartphone. This year, Google surprised everyone when the company announced that its Pixel 2 got a DxOMark score of 98, which is right now the highest score ever for any smartphone camera. 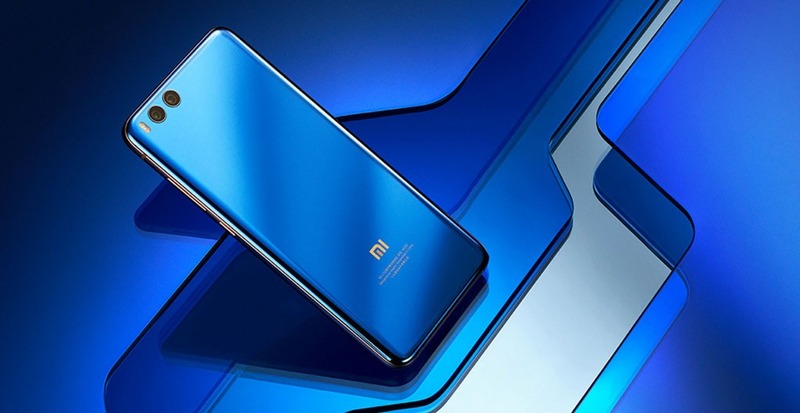 Till now, we haven’t seen any Xiaomi smartphone being tested by DxOMark, but today, the scores of Xiaomi Mi Note 3 were revealed that are surprisingly impressive. As per DxOMark, the camera of the Xiaomi Mi Note 3 got an overall score of 90, which is same as last year’s Pixel and HTC U11. Talking about only the Photos, the camera got a score of 94 which is more than iPhone 8’s camera scores for Photos. Mi Note 3 features a dual rear camera setup with the primary 12MP f/1.8 lens and secondary f/2.6 lens with 2X Optical Zoom. 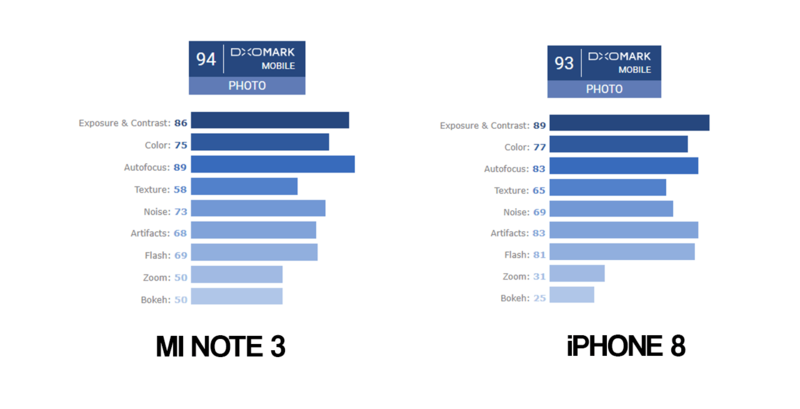 So, what is your take on these scores for the camera of Note 3? We know that DxOMark scores are not the only way to know that quality of a smartphone’s camera but still, DxOMark uses a lot of different methods to find the scores for each feature of the camera like Exposure, Zoom, Bokeh, Noise, etc. These individual scores give us an idea of how the phone’s camera will perform in different conditions. Do let us know your opinions on this via the comments section.